Today I found out that a cockroach can live without its head for up to a week. While many have commonly heard cockroaches are the species most likely to survive a nuclear war, which isn’t entirely accurate by the way, and they are well known as being among the most adaptable creatures on the earth, it’s still somewhat of a surprise that any creature can live for so long without its head. Physiologist and biochemist Joseph Kunkel at the University of Massachusetts Amherst, who studies cockroach development, explains how this is possible. First of all, cockroaches do not have blood pressure the way a mammal does. They have an open circulatory system. As a result, there is no chance of uncontrolled bleeding because a cockroach’s neck seals off just by clotting. A cockroach’s heart is a simple tube with valves which can pump blood backwards and forwards through the insect. Moreover, there is an ability to slow down the heart rate and the heart can even stop for some time without any harm. While humans breathe through their mouth or nose and the brain controls that function, cockroaches breathe through little holes in each body segment. The tracheae of insects are attached to the spiracles, excluding the head. These spiracles pipe air directly to tissues through a set of tubes instead of blood carrying oxygen throughout the body. So cockroaches are not dependent on the mouth and windpipe to breathe. As cold-blooded insects, cockroaches need much less food than humans do. Experiments have shown that cockroaches can easily live in a sealed jar without food for at least a month. Interestingly though, eventually a cockroach will die because, without a mouth, it can’t drink water. 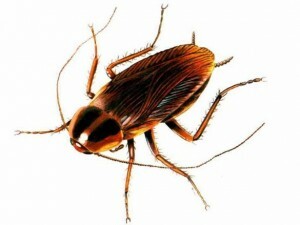 Still with a low metabolism and cool temperature, the cockroach could last about a month without a need for its head. So if they don’t need food or whatever within that month, but how can they continue to function without a brain? Insect’s nerve tissue agglomerations are distributed within each body segment and are capable of performing the basic nervous functions responsible for reflexes. So even without the brain, cockroaches bodies can stand, react to touch, and move without any problems. Even with their heads, cockroaches spend about 75 percent of their lifetime resting, so this headless mostly resting state is nothing new to them. What is even more shocking than their bodies being able to live without the head for some time? – The lonely head of a cockroach can thrive for several hours if properly nourished with food. There are about 4,500 species of cockroach. The earliest cockroach-like fossils are from the Carboniferous period between 354–295 million years ago. A cockroach is able to hold its breath for forty-five minutes. They can even survive being completely submerged underwater for half an hour. Certain types of female cockroaches can mate once and will be pregnant for the rest of their lives! The eggs can even mature after the mother is already dead. There is a famous myth that a chicken can also live without a head. This it is not true as all of the movement the chicken makes after having the head off is from nerves reacting, not continued normal function of the chicken body itself. For most animals, the head can’t live without a body for a significant amount of time. Usually, the brain continues to function for about two minutes after the heart stops. However, it was widely reported that a Soviet scientist, Sergei Brukhonenko, in the late 1920s managed to keep the severed head of a dog alive. The dog’s head was connected to a primitive heart-lung machine which gives the head everything it needs to maintain life for a short amount of time. Brukhonenko presented a similar experiment in 1928 at the Third Congress of Psysiologists of the USSR. To prove that the dog’s head was actually alive, he shines a light in dog’s eyes making it blink. When he would hit the table with a hammer, the dog’s head would also react.